I have some fall craft ideas that I have been itching to do. I love to do chalkboard art and I have been wanting to make a scarecrow, so I combined the two ideas and this is what came from that! I love Moroccan / quatrefoil frames. I have a hard time finding them, so I decided to design one. With the help of my awesome hubby, we designed and cut out this layered frame out of MDF. I do sell them on my ETSY shop if you are interested. First I spray painted the frames with my favorite Heirloom white paint. I had to spray them a few times to cover them evenly. After the paint dried, I lightly sanded the frame to rough it up a bit. I like to use a faux glaze that I have tinted with some brown acrylic paint to give it a bit of antiqued look. I usually apply it to the areas I have sanded and a bit here and there - I wipe it off rather quickly with a rag so it doesn't give it a smeared look. If you want more of an antiqued look you could use the tinted faux glaze all over the frame. Then, I add the chalkboard art. I have a tutorial demonstrating how I like to do chalkboard art HERE if you are interested. I fit the chalkboard art in the frame and glued it in using a few spots of hot glue. Now the fun part - finding a good place to put it! Your litle scarecrow is darling, my friend. I always love your chalkboard creations. Thanks for sharing your talent and creativity with Roses of Inspiration. Hugs to you! Awesomesauce!!! I love this quirky piece and I even love it more because of the art, KUDOS!!! Such a great chalkboard idea! Love the scarecrow art! 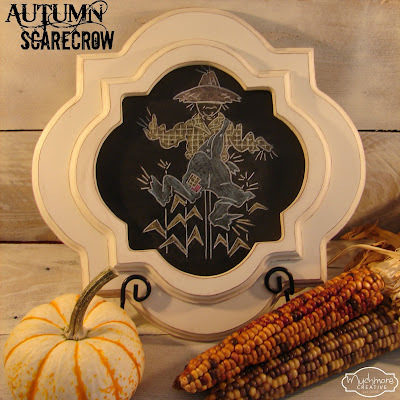 I love your scarecrow chalkboard art, so pretty! This is so cute! I am obsessed with chalkboard! Oh My Heart-What a cute project, I love it, I am seeing so many projects using chalkboard, but this is really cute!!! I love this. Great chalkboard idea! He is so neat, love him, and the great job you did on the frame too! This is so cute! Love the frame! This is an amazing Seasonal accessory idea, dear one!!! I'm so happy to be following your lovely blog by Google Friend Connect, Twitter and Pinterest. 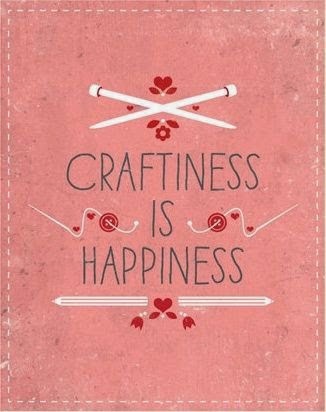 Thanks for sharing this awesome craft and looking forward to making a new blog friend. Thanks. That is so creative! Great job. Thanks for joining the Thursday Favorite Things Blog Hop! The frame is darling and I love your cute scarecrow! Thanks for sharing with SYC. Monday's Cooking and Crafting with J & J. We hope to see you again and thanks. This is fabulous. The frames ( shape and how you painted them) and the scarecrow are perfect together. Featuring when my link party opens up tonight!